To reserve a facility in person, you may stop in at the Parks Office located at 524 E. Jackson St. Monday through Friday from 7am to 4pm. You may check facility availability by calling 574-534-2901 during these hours. If you are renting a facility and are tax exempt or a non-profit organization, you will need to register in person only. We are pleased to bring you the convenience of online facility rentals. If you are a new patron of the GPRD, you can create your account while browsing programs and facility rentals. If you have been a patron of the GPRD before and are unable to access your account or do not know if you already have an account please call 574-534-2901 (7am-4pm, Mon-Fri) and someone will assist you with your account information and set up. Discover, Mastercard, Visa and American Express accepted. *NOTE: a convenience fee of 2.85% is assessed to each credit/debit card transaction. If you are reserving a facility and are a tax exempt or non-profit organization, you will need to register in person only. Located in Shanklin Park, 411 W. Plymouth Ave. Amenities include: large enclosed area, tables and chairs, fireplace, large kitchen area, space available for DJ and dancing. Access to playground, public pool, trails, ball diamonds, and canoeing. Not for profit rates available Monday - Thursday with copy of non-profit certificate. Located in Abshire Park, 1302 E Lincoln Ave. Amenities include: cozy cabin feeling that is ideal for small socials or professional meetings, kitchen area, tables and chairs, access to tubing hill, cross country skiing, Pumpkinvine Trail and interpretive trails. Not for profit rates available Monday - Thursday with copy of non-profit certificate. Located in Pringle Park, 1912 W. Lincoln Ave. Amenities include: picnic tables, large open-air pavilion, kitchen facility,electrical outlets, attached restrooms, access to playground. Not for profit rates available Monday - Thursday with copy of non-profit certificate. Located in Rogers Park, 102 Chicago Ave. Amenities include: picnic tables, large open-air pavilion, outdoor grills, access to water, electrical outlets, attached restrooms, and access to playground. Not for profit rates available Monday - Thursday with copy of non-profit certificate. 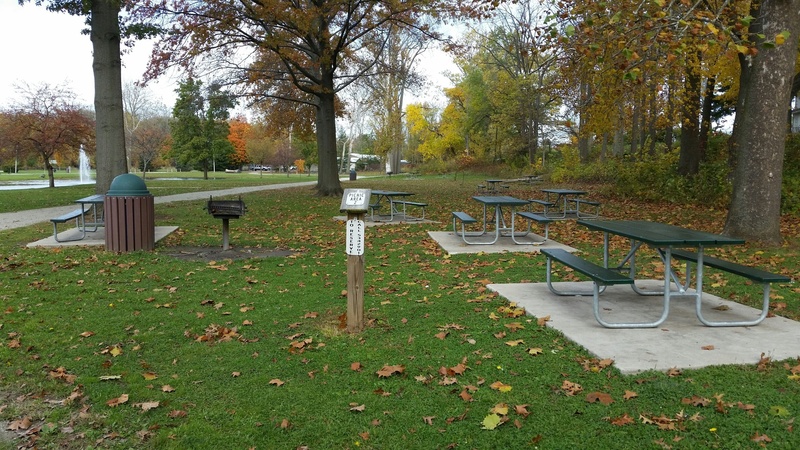 Amenities include: picnic tables, open-air pavilion, outdoor grills, access to water, electrical outlets, restrooms, playground, Shanklin Pool, canoeing, and trails. Not for profit rates available Monday - Thursday with copy of non-profit certificate. Located in Walnut Park, 224 Oakridge Ave. Amenities include: picnic tables, open-air pavilion, outdoor grills, access to water, electrical outlets, restrooms, playground, and splashpad. Reserve for a Splashpad Birthday Party. Not for profit rates available Monday - Thursday with copy of non-profit certificate. Located in Oakridge Park, 715 N First St. Amenities include: picnic tables, open-air pavilion, outdoor grills, access to water, electrical outlets, restrooms, playground, and trails. Not for profit rates available Monday - Thursday with copy of non-profit certificate. Access to Maple City Greenway Trails. Located at 1508 S. 13th St. Amenities include: splash pad, picnic tables and grills, electrical outlets, restrooms, access to basketball court & playground. Not for profit rates available Monday - Thursday with copy of non-profit certificate. Located in Hay Park, 1414 West Plymouth Ave. Amenities include: community garden, electrical outlets, restrooms in pavilion, trails, children’s interactive art & music play areas, hill slide, look–out towers, climbing wall and open play space. Not for profit rates available Monday - Thursday with copy of non-profit certificate. Amenities include: fireplace, electrical outlets, picnic tables & grills, restrooms in pavilion, kitchen facility, 80 acre pond, canoe/kayak/pedal boat rentals, fishing pole rentals, catch & release bank fishing. Not for profit rates available Monday - Thursday with copy of non-profit certificate.